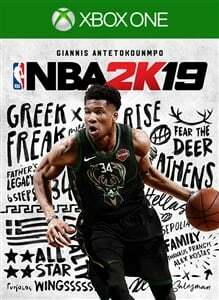 NBA 2K celebrates 20 years of redefining what sports gaming can be, from best in class graphics & gameplay to groundbreaking game modes and an immersive open-world “Neighborhood.” NBA 2K19 continues to push limits as it brings gaming one step closer to real-life basketball excitement and culture. TAKE CONTROL WITH TAKEOVER Harness your MyPLAYER’s full basketball potential with the new Takeover feature. Unlock special moves and abilities never before seen on the court, or activate Team Takeover and unleash the power of your full squad. RUN THE NEIGHBORHOOD You won’t want to miss a single day in the updated Neighborhood. Make a name for yourself on the court, at the Under Armour Cages, and during live events on the block. Ball until dawn with new day to night transitions, walk on at the Jordan Rec Center, or get the old Crew back together for exciting 3 on 3 streetball action. MyTEAM Create your very first MyPLAYER card, and ball with LeBron, Kobe, and the rest of your collection in a variety of competitive modes. Introducing the new Unlimited mode, allowing you to pick any five cards from your deck without restrictions and battle against other players online. MyCAREER From neighborhood legend to global phenomenon. 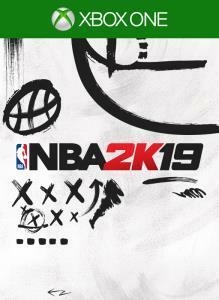 The original career story mode returns with an all-new, immersive narrative charting your journey from China to the G League and eventually the NBA. Featuring an all-star cast, endorsements tied to your popularity, and new team chemistry elements that allow you to dominate the hardwood.